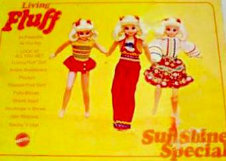 Skipper had eight gift sets, Skooter had one, and Fluff had one as well. 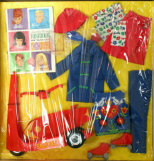 And click the number or name by the picture to see what's available for purchase! 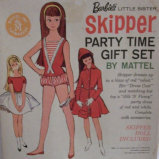 #1021 Skipper Holiday Party Set. 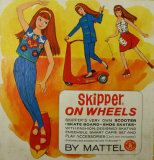 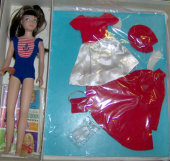 It looks almost like #1021 Party Time from 1964 except this set has the bend leg Skipper doll.